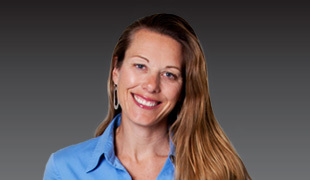 Michelle Snyder joined the InterWest team in 2011, focusing on the intersection of healthcare and information technology. She is particularly passionate about the transformative role mobile, social and data analytics can play in the healthcare industry. Michelle is currently the chief marketing officer at Welltok, and a digital health advisor to InterWest. Welltok is an emerging company that is revolutionizing how population health managers optimize consumers' health. She also serves as a mentor and advisor to incubator programs and highly-novel companies in the healthcare IT space. Prior to joining InterWest, Michelle was an early member of the senior executive team at Epocrates, where she led subscriber acquisition and monetization activities. Michelle has also worked for a variety of health policy and strategy consulting firms, including The Wilkerson Group, The Lewin Group and the Georgetown Center for Health Policy Studies. Michelle holds an M.B.A from the J.L. Kellogg School of Management and a B.A from Carleton College. What Does It Take To Build A Health IT Company Worth $1 Billion? A new type of vision test for kids checks for a potentially debilitating disease in seconds. Doximity, A LinkedIn For Medical Professionals, Now Reaches About 30% Of Doctors In The U.S.